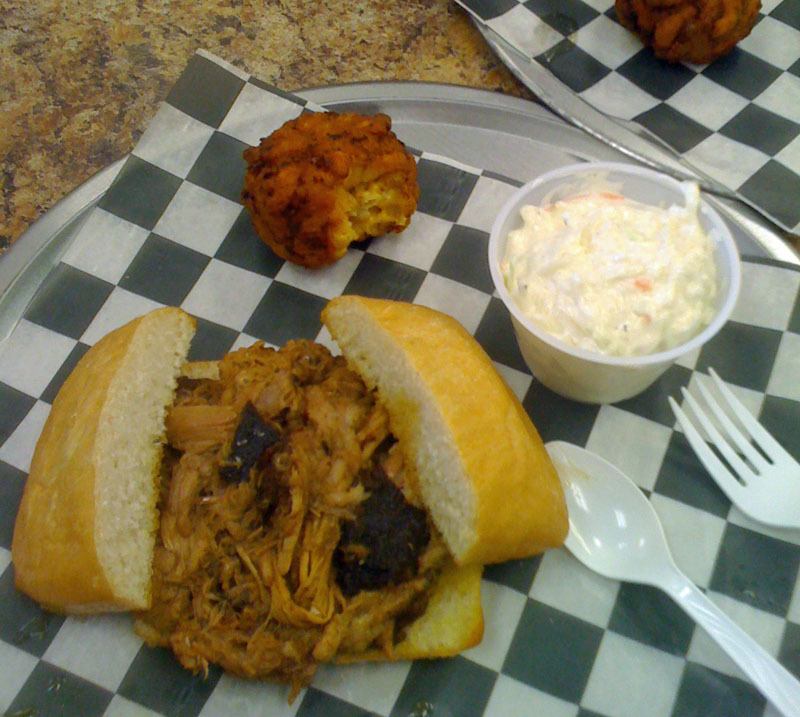 I was surprised to find a BBQ joint in Marshfield, so I had to give it a try. 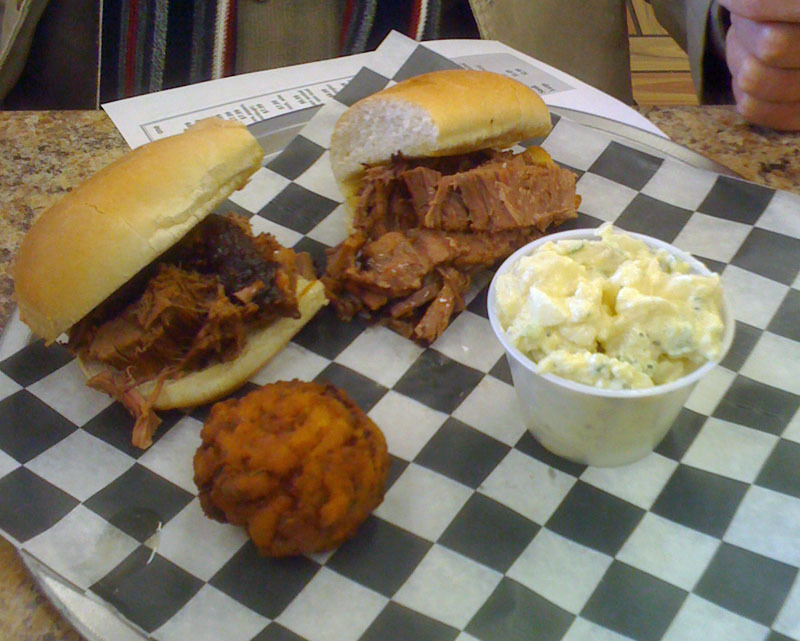 Lammar's Smokehouse BBQ is fairly new, opened in a space next to a gas station/convenience store formerly occupied by a Subway. It's relatively new and not all that fancy, but what true BBQ place it. The proof is in the taste of the "Q" and I would say it is a success! Yes, there were a few rough edges, but we enjoyed our lunch here. We had sandwiches with their sides for lunch. The pulled pork was delicious, though a bit overly juicy, and the bun it was served on was overpowered by the juice. But the sandwich itself was delicious with a nice smoky flavor. The brisket was pretty good too, but jsut a bit fatty. The coleslaw was delicious, abosolutely a hit. The potato salad was OK. The deep-fried mac 'n cheese for me was a bit of a disappointment. I'm not sure why. perhaps it was a bit overcooked? I am not really sure, but it was just not the spectacular side I'd expected. If i were them I'd do a little better on the breading and fry them just a little less, so they were a lighter brown. The mac n cheese itself was just a bit dry. Maybe the secret is to make it a bit creamier. however, it sure has potential. One of the best things I found here, in addition to the smoked meats, were the sauces. They make their own and they were very good, each in its own regard. Maybe they should bottle and sell them? I think that would be a hit. There were a few I really liked, but I suggest if you go, you give them all a try, each is different, each is unique. Overall, I enjoyed the BBQ here and was surprised to find such a place in Marshfield. Next time I'm in town, I'll be sure to stop in again! Fresh on the Fly -- again!